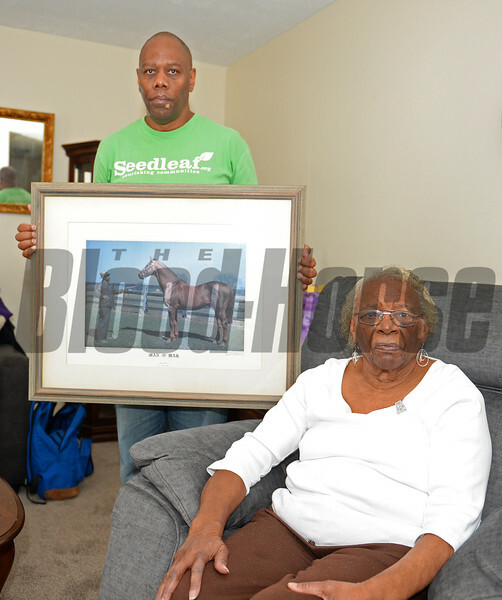 Kalvin Graves with his Aunt Nora Easter Graves at their Lexington home in Kentucky on March 14, 2017. Photographed with a Man o' War photo by James. W. Sames III with groom Cunningham Graves.